Sally, aged 77, and Edna (known to everyone as just Rose), 86, have been on the Board of Bramley Elderly Action since the beginning. 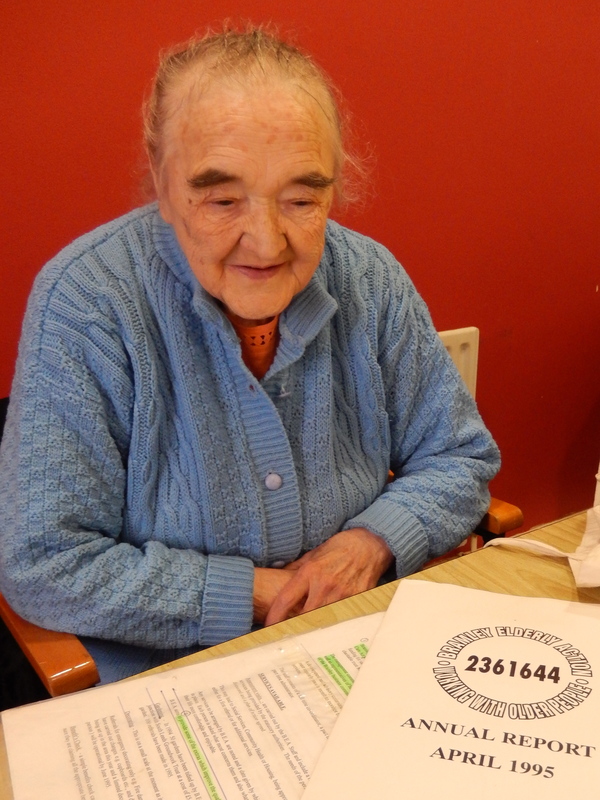 Rose went to an initial meeting, with Sheila Mahon, at Bramley Community Centre, then signed up to be on the committee straight away. Sally, who was asked by Mark Law (of BARCA) to go along, said “I thought I was only going to the first couple of meetings!” Sally and Rose both remember the first committee meeting in a “pokey little room with no window” at St Catherine’s Mill. 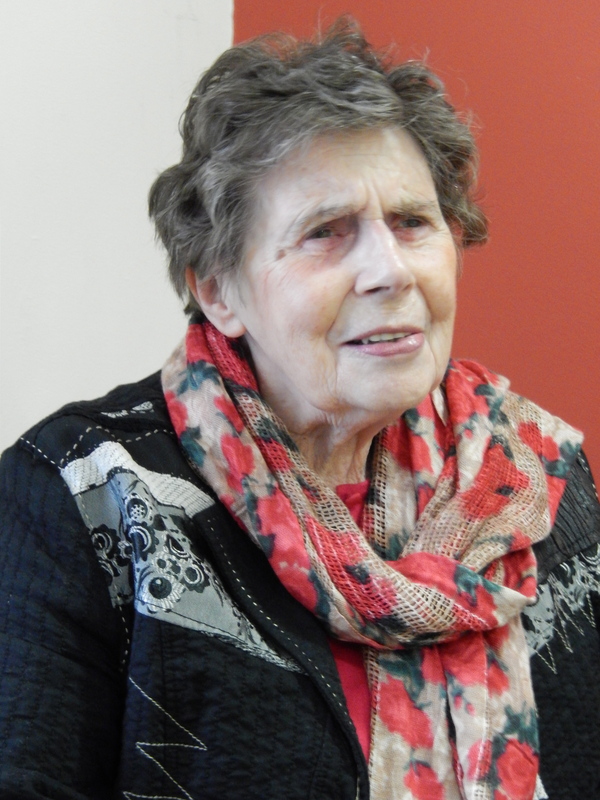 Both have taken on many different roles at BEA, from the Development Committee to the Board, and have helped with fundraising throughout: “I must have knitted a whole shop full of wool” jokes Rose. They even remember taking part in a ‘catwalk’ of committee members to raise funds! Both promote BEA as much as they can. Sally tells people “It’s a wonderful organisation”, always encouraging them to become members. Rose urges people to “come along if they want company”. Both stress that there is no need to be lonely. They have seen many staff and volunteers come and go as they’ve seen the organisation grow and develop. Both are excited about the forthcoming Bramley Lawn and the hoped for new shop. BEA has been built on the commitment of volunteers like Sally and Rose. Get in touch with BEA if you are interested in joining the Board.